With precise pH value and ultimate heat stability, Coolant Yellow that we offer is taking over the market. 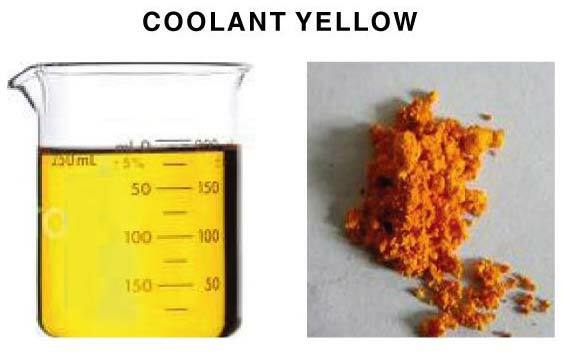 We are reckoned among the chief Manufacturers, Exporters, and Suppliers of Coolant Yellow from Maharashtra, India. We are renowned for bringing forth dyes in custom formulations. And we grace the deals by making prompt deliveries of the products.